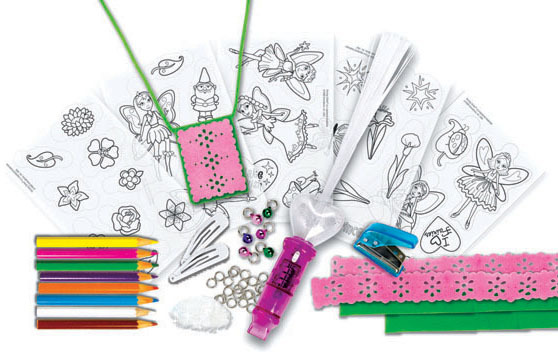 This Awesome Shrinky Dinks JEWELRY MAKING KIT will Provide Hours of Fun and Spur Creativity, too! 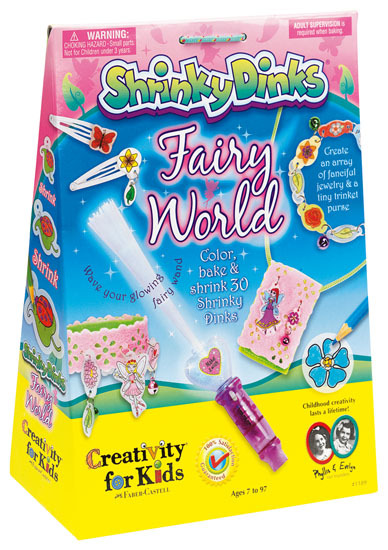 Creativity for Kids Kits from Faber-Castell offer Fun-Packed Opportunities for Children to Create, Pretend, Explore and Learn. Color, bake & watch them SHRINK, Shrink, shrink!!! Makes an array of fairy-themed charm jewelry, felt bracelets, hair clips, & a tiny trinket purse.